Now this is awesome, and such a witness! 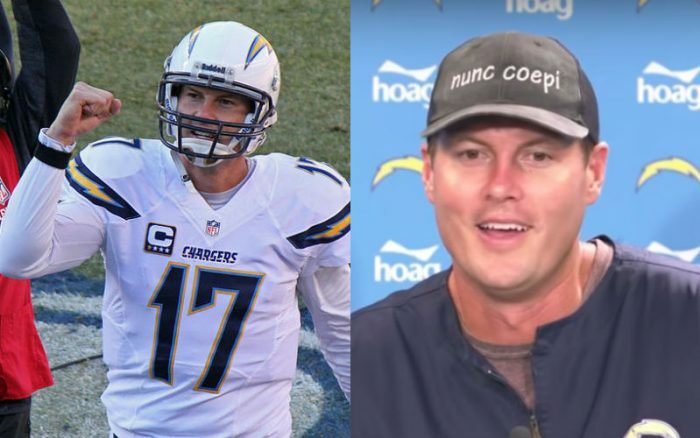 Chargers QB Philip Rivers explains the Latin phrase “Nunc Coepi,” meaning “now I begin,” and the role it plays in his life. If you cannot see the video, please click here. He also discussed the motto in a commencement speech at the Catholic University of America in 2014. What do you think of this Latin term? Will you apply it to your life?